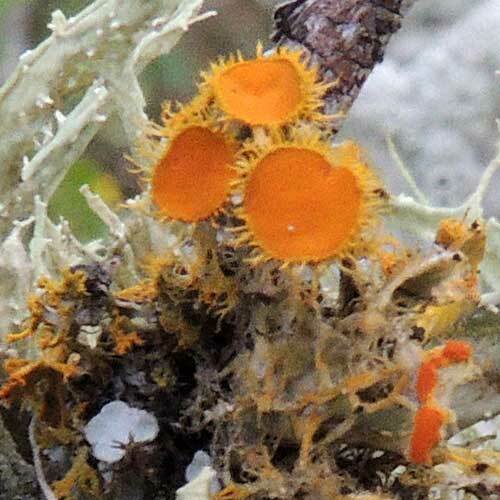 The orange saucers on this lichen are the fruiting bodies, referred to a apothecia. From these structures spores will be released. Hyphae (fungal fibers) carry with the spores the symbiotic algae that allow the fungus to exploit sunlight for energy.